On Thursday, February 21st, 2019 please join us in Downtown Chandler at Sasha’s Kitchen and Cocktails, a new and exciting concept with a contemporary, casual atmosphere, affordable dining and re-invented American cuisine. 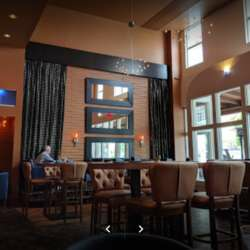 Sasha’s features the finest scratch kitchen in Downtown Chandler restaurant managed by the talented Chef & team. Everything is prepared in-house, from the highest quality cuts of meat to creating our own custom dressings and sauces. Come celebrate the American Bistro re-invented and enjoy a craft cocktail, along-side some of the best food to grace a plate. Please don’t forget to register for this event by clicking the Accept Invitation button and feel free to bring your international friends and co-workers, but please invite them to sign up at InterNations first.